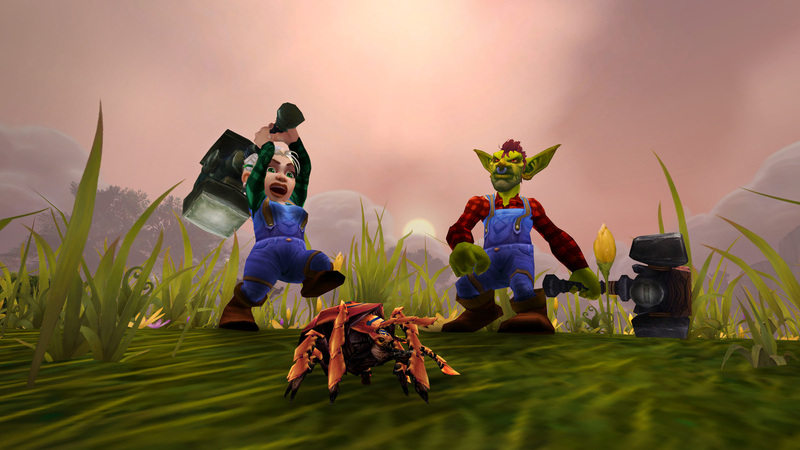 We Need You on the 7.3.5 Public Test Realm! We need your help! Create a new character on the Public Test Realm (PTR), level as far as you can, and send us your detailed feedback. By leveling through the content and sharing your thoughts with us, you will have a direct impact on improving the new dynamic leveling experience. What You Want: To help make World of Warcraft a satisfying and seamless world to level through. What We Want: Your feedback—the good, the bad, and the ugly—so we can iron out the wrinkles. How We Do This: Create a new character on the PTR, level up as far as you can, and send us your considered, original opinion on the overhauled leveling experience. As you may have heard, we are significantly overhauling the leveling experience in World of Warcraft to make life more interesting for all the lower-level characters out there. Leveling zones from 1–100 will dynamically scale to your character’s level for a certain range, so you can spend longer in the places you love and experience more of your favorite quest lines and stories as you travel through Azeroth. This is where you come in. On the 7.3.5 PTR, we want you to level a character, then give us your detailed, original feedback on the changes: zones, dungeons, quests, and the entire end-to-end experience in the zones you love and at the pace you enjoy. Share your thoughts on the experience, warts and all, and give us valuable insight that will change the game for the better. You will need to access the PTR build for Patch 7.3.5 (see below on how to do just that). Log in to Blizzard Account Management. Select your World of Warcraft account. Select Additional Services, then click Public Test Realm. Click History/Status to create your PTR account. Be sure to log in to your Blizzard account and select the Public Test Realm (PTR) in Game Accounts. Download the PTR client from within the Blizzard Battle.net desktop app. Log in to any of the available Test Servers. Create a new level 1 character. Champions take note! We plan to leave the PTR up throughout the holidays, but as with any test phase there may be short periods of downtime to apply changes, perform maintenance, and other trickier things that pop up. If the PTR isn’t available for any length of time, please know we appreciate your patience, good humor, and participation. We are working hard behind the scenes to keep everything on an even keel. Thank you, we truly appreciate the feedback you give and look forward to all you have to share with us. See you in Azeroth! Summary: Season 17 is rapidly approaching, and we’ve got a bundle of item changes, new Torment levels, and quality of life changes for you to check out before the Season of Nightmares casts its dark shadow.